Nvidia, the leading technologist in PC gaming, has once again ventured beyond the barriers of gaming - and this time, evolving the power of 3D gaming. Enhancing its first generation goggles, the latest 3D Vision system features a 20 percent larger lens (not very sure whether its better though as it might strain the eyes even more) and redesigned glasses made of softer, more comfortable materials. 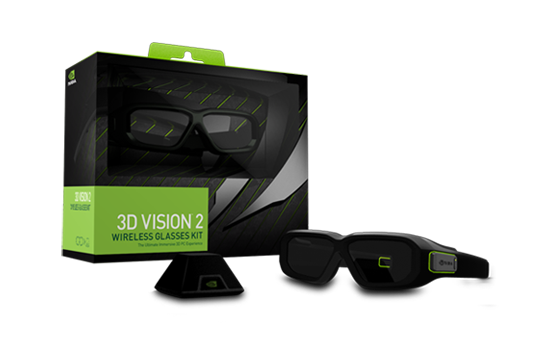 The recently unveiled 3D glasses promises to have settled the common 3D darkness problem with its LightBoost technology, as it promises to greatly improve the general colour quality while doubling the overall brightness. "NVIDIA's engineering team has made incredible enhancements in 3D on PCs, creating a breathtaking gaming experience that's better than the best Hollywood 3D movie"